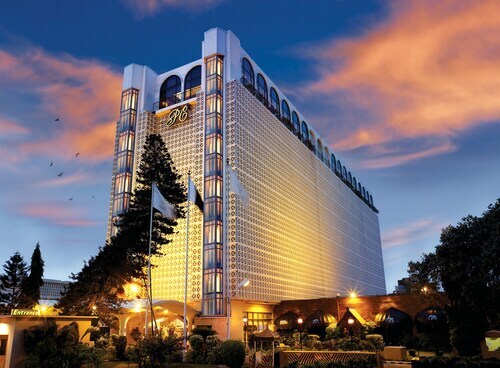 Located in the heart of Karachi, this luxury hotel is within 1 mile (2 km) of Holy Trinity Cathedral, Frere Hall and National Museum of Pakistan. MCB Tower and Hockey Club of Pakistan are also within 2 miles (3 km). 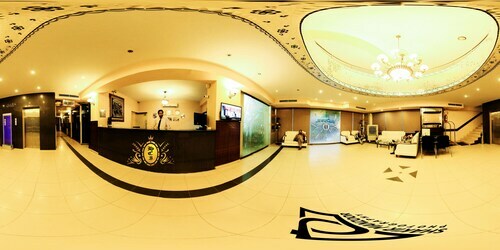 Located in Saddar Town, this hotel is within 1 mi (2 km) of Holy Trinity Cathedral and National Museum of Pakistan. Frere Hall and Hockey Club of Pakistan are also within 2 mi (3 km). Magnificent hotel with lovely gardens and a good gym.Some things didn't work and needed reapiarin -the scales and telephone , but everything else was great ! 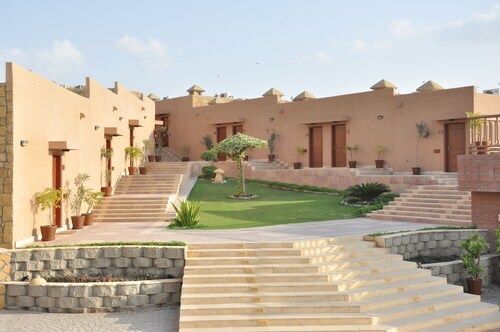 Set in Karachi, this family-friendly resort is within 20 mi (32 km) of University of Karachi, NED University of Engineering and Technology and National Stadium. Karachi Zoological Gardens and Pakistan Maritime Museum are also within 25 miles (40 km). So, you're considering going to Karachi? If you want to find accommodation that's within a stone's throw of the sights, you can enter your holiday dates and then use the filters next to your hotel search results to find somewhere to stay near the area's attractions. 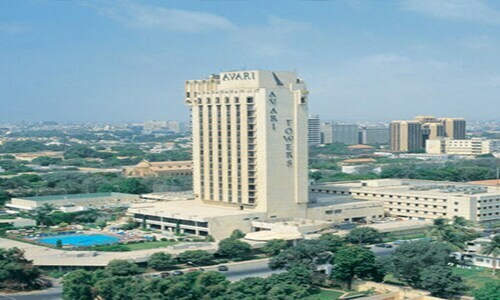 You can choose among 42 Karachi hotels and accommodation choices to find a place you'd like to stay. 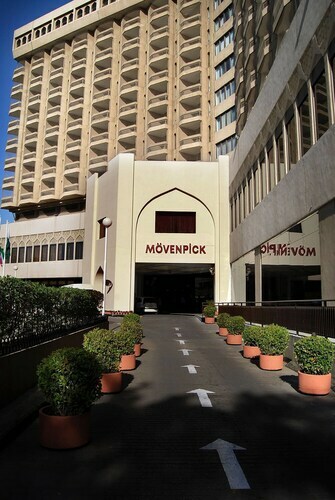 When you're deciding where you want to stay in Karachi, you can easily and quickly search ebookers for hotels offering services such as high-speed Internet, free airport transport or a swimming pool. You can use the filters to narrow down your search for accommodation, so you can get the services that are important to you, such as air conditioning or an in-room kitchen. When making plans for your trip to Karachi, you can also use ebookers to find a convenient flight into Karachi (KHI-Jinnah Intl.) Airport. You can narrow down your search by number of stops, airline or time of departure to find the one that'll meet your needs. When is the Best Time to Explore Karachi? If you're wondering when is the best time of year to travel to Karachi, you may find this information about seasonal weather helpful when you are organising your getaway. The warmest months in Karachi are typically May and April, whereas the coldest months are usually January and February. The months with the most rain are August and July, whereas May and December have the least. From January to March, the average daytime temperature is 31°C and at night it is 9°C. Seasonal average rainfall is 0 mm. If you visit between April and June, you can expect an average temp of 36°C during the day and 19°C at night. Average rainfall during this season is 0 mm. The daytime average temp from July to September is 35°C and the nighttime average is 24°C. Average precipitation for this season is 32 mm. Between October and December, the average temp during the day is 35°C and 11°C at night. Seasonal average rain is 0 mm. Average annual rainfall in Karachi is 32 mm. No heating, only freezing air conditioning, switch it off and the room fills with cigarette smoke. Room to dark and blown bulbs not changed or monitored by staff. Not enough towels for the whole floor. Very dated compared to the newly refurbished Marriot, tried changing but nothing available! Way too expensive for what you get and isn't a 5 Start hotel, more like 3 Star if that. Guests scream and shout at night without consideration to sleeping guests!!! 3 years ago by Meer J.